The Football Ramble emerged from London towards the end of 2007, presented by Marcus Speller, Luke Moore, Pete Donaldson and Jim Campbell. On the podcast, emphasis is placed in and around European (especially the English Premier League), and World Football and to a lesser extent the Italian, German, Spanish and Scottish leagues providing an irreverent viewpoint on the sporting issues of the day. They started producing the podcast ten years ago, one of the first of its kind. When they started The Football Ramble, podcasting was not as popular a medium for commentary or storytelling as it is today. But over time, the response they have received has been very large. Social media has played an enormous role in their relationship with the community of football fans that they’ve built through the podcast. Their listeners have been sticky, many have been tuning in for years. 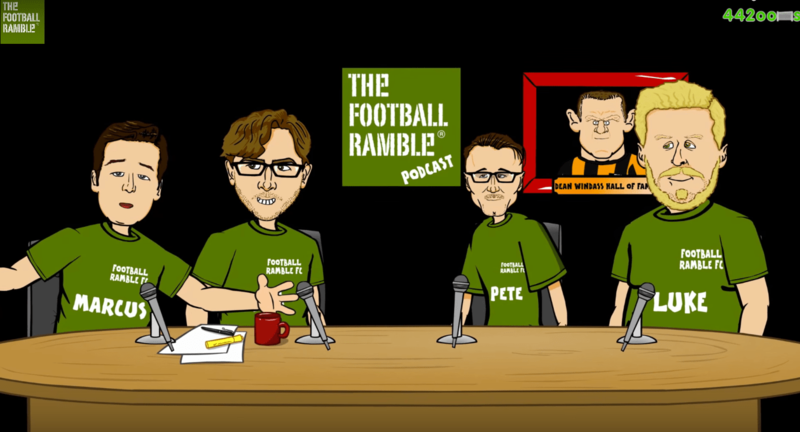 The Football Ramble is a foursome of football mad young men, who bring a different view to the beautiful game than the traditional TV and print points of view. The football ramble is a great pod for anyone remotely interested in English football. The lads do a great job of covering the top flight while having good banter and getting involved with the audience. You can tell that these four have been working together for a long time as they complement each other very well. While every show doesn’t have the four due to scheduling conflicts, as host Marcus Speller likes to say “Three’s company but four’s a ramble” as they are at their very best when all four are present. It is now the largest independent football brand in the UK and a must-listen for any discerning fan that enjoys the more entertaining side of the game.